Completed 2005. This is the plane that was brought up from under a snow-pack in Greenland and subsequently restored and flown out of its new home field in Middlesborough, Kentucky. 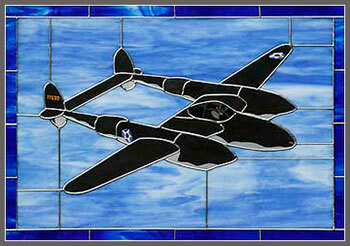 This artwork was displayed at this location and used as a fund-raising vehicle by the ‘Glacier Girl’ team. It was sold at auction in 2006.